Loomis Dean Photography Vintage Editorial Stock Photos Sculptor Alberto Giacometti working on clay sculptures while his wife looks on, at his studio at home. Sculptor Alberto Giacometti working on clay sculptures while his wife looks on, at his studio at home. Title Sculptor Alberto Giacometti working on clay sculptures while his wife looks on, at his studio at home. 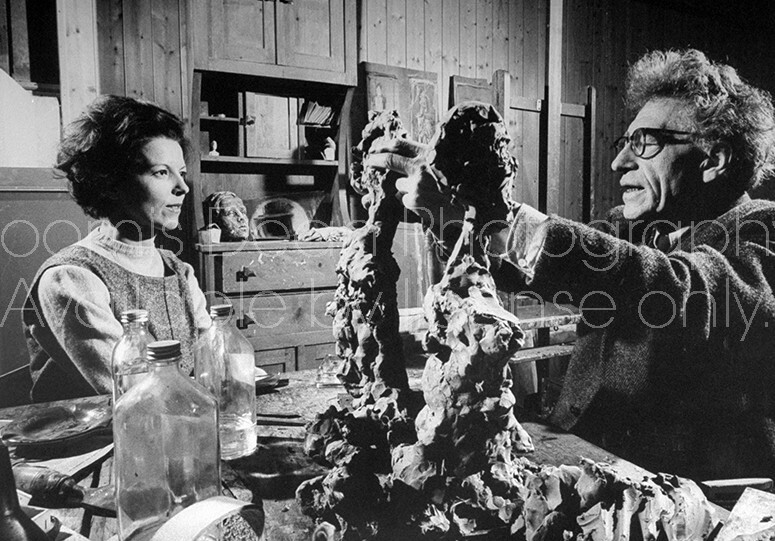 Description Sculptor Alberto Giacometti working on clay sculptures while his wife looks on, at his studio at home.